1. 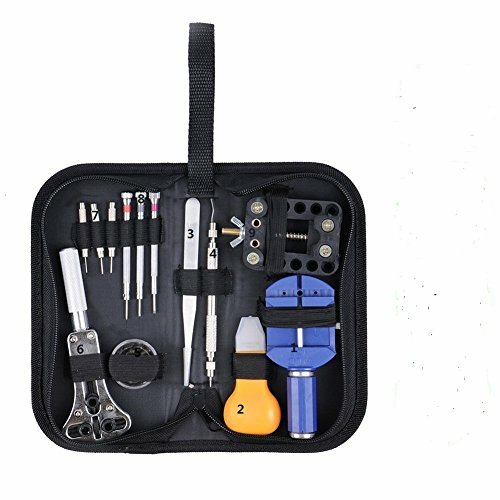 13pcs professional watch repair tool kit contains what you need to resize a metal watchband, change a watchband or replace your watch battery. 2. Can be set in different positions for different size cases A complete watch repair tool set allow you to remove and replace pins in a watchband, shorten a metal watchband by removing links and open a watch case to replace the batteries without damaging the case. 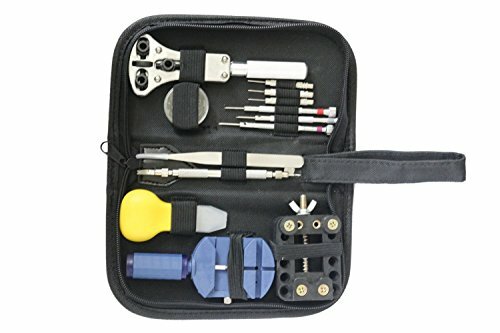 1.Metal band pin remover,this tool is for removing the bracelet of watch. 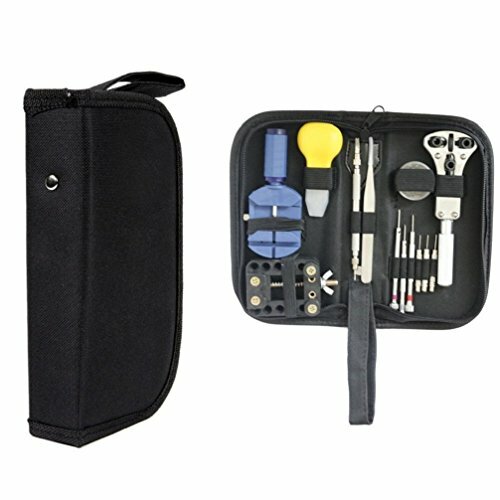 3.Non-magnetic Ss tweezer,this is to pick up some small accessories and replace some small part of the watch . This is just brief description ,if you want video about instruction, you can google to watch video on youtube .